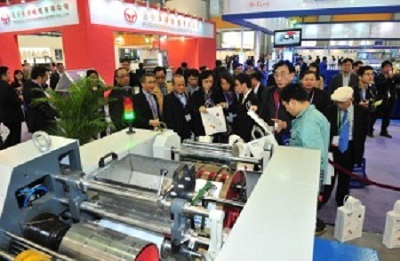 “The 20th Printing South China” & “Sino-Label 2013” concluded on March 6 with a record 57,529 visitors from 154 countries & regions, says the organizer, Adsale Exhibition Services Ltd. The “Top 10 Most Competitive Printers” and “Top 10 Printers with Integrity” awards, co-organized with Guangdong Printing and Copying Industry Association, were presented during a banquet on March 3. Winners of “Top 10 Most Competitive Printers” include Heshan Astros, Yuto, Shantou Dongfeng, Guangdong Zhuangli Color Printing, C&C Joint Printing (Guangdong), Hucai, Jinjia, Artron, Nine Stars and Yangfeng. Winners of “Top 10 Printers With Integrity” include: Shenzhen C&C Security Printing, Lijia Package, Hung Hing Printing Group, Meijia Printing, On Hing Paper, Guangdong Zhongxing Plastics Paper Printing, Guangdong Tango Information Paper, Zhengye Packaging, Guangdong Hongda Printing And Foshan Greencolor Printing. During the three-day show, the organizer welcomed more than 100 delegations led by local and overseas associations and business enterprises, including Malaysia, Indonesia, Japan, Philippines, Uruguay and Vietnam, as well as various local provincial printing and label industry associations in Guangdong, Hubei, Hunan, Fujian, Jiangxi, Yunnan and Henan, etc. Whereas printing industry associations from Zhuhai, Quanzhou, Lanzhou came to visit for their first time. The next edition, the 21st Printing South China/Sino-Label 2014, will be staged again in conjunction with Sino-Pack 2014, and PackInno 2014 at China Import & Export Fair Complex, Guangzhou, China from March 3-5, 2014.